Nervous teenagers will wake up on Thursday to discover whether they clinched the A-level results they were after. And the city will be hoping for a more successful year after 2014&apos;s results saw Birmingham fall below the national average. Latest Department for Education figures show that last summer 77.2 per cent of Birmingham students achieved three A-levels at grades A* to E - more than two per cent less than the national average of 79.5 per cent. Independent and grammar schools swept the boards when it came to top results. Highclare School, in Sutton Coldfield, which charges £11,610 a year in fees for sixth form students, saw 100 per cent of its pupils gain three A-levels at grades A* to E at the end of the 2013/14 academic year. 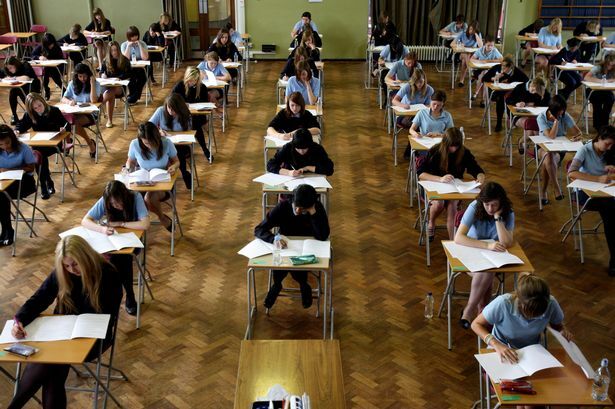 Six of Birmingham&apos;s top 20 performing schools saw all of their students, who sat three A-levels, pass with grades A* to E.
Out of Birmingham&apos;s top 20 performing schools for A-levels, 11 were academies, four were independent fee-paying schools, four were local authority-maintained and one was a free school. Denis Ramplin, director of marketing and communications for King Edwards VI, said he was delighted six of the chain&apos;s schools were in the city&apos;s top 20. And he said the schools were currently on a mission to give more children from disadvantaged backgrounds a top quality education. He added: "All of our schools offer much more than academic excellence. "We are also running a campaign which sees all of our schools providing familiarisation sessions to bright children from disadvantaged backgrounds - an initiative which will see around 130 children beginning their secondary school education at one of our selective schools this September." Birmingham&apos;s top 20 schools for A-levels in 2014 and the percentage of students passing three A-levels with grade A* to E.